Marina Alex has yet to visit her home this week, despite being under an hour away from Trump National Golf Club, Bedminster. 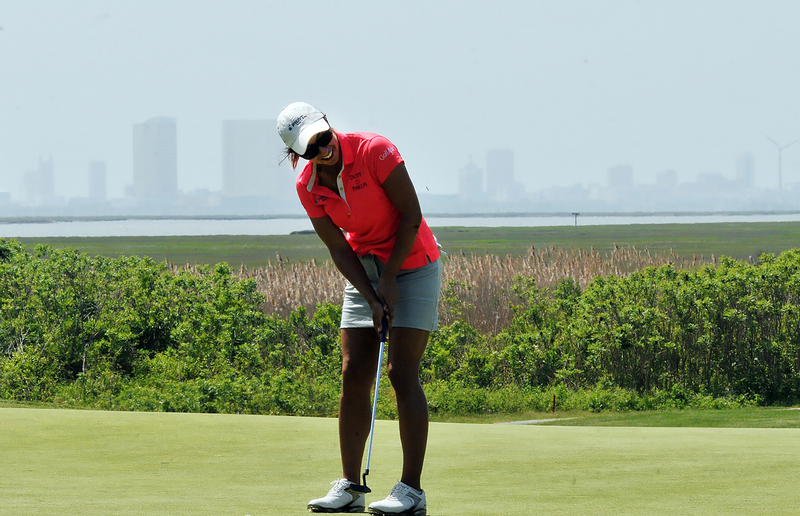 The 26-year-old makes it a priority to stop at her home in Wayne, N.J. before she competes in the ShopRite LPGA Classic down in Atlantic City. So, far, she’s glad she’s broken that routine. Alex sits at 3-under for the week in a tie for 10th. A two hour rain delay on Thursday extended her afternoon until play was suspended at 8:33 p.m. after playing only 15 holes. Alex arrived at Trump Bedminster Friday at 5:15 a.m. to finish her first round, which included three pars. In her second round, which began at 8:45 a.m., she hit 11 of 14 fairways on her way to a 2-under 70. Alex, who used to play out of North Jersey Country Club, is happy to be in front of a home crowd and her family this week. She’s had four finishes inside the top-10 this year and is No. 38 on the LPGA money list. The 5-foot-3 right-handed player has been in contention at majors before. In 2015, she was tied for the lead after the first round of the U.S. Women’s Open before finishing 20th. This is her fourth appearance at this major event.